The Year the Arab Spring Went Bad – By F. Gregory Gause, III | Foreign Policy. I am sitting here in my kitchen while watching Samuel Bronston’s Production “El Cid” (http://en.wikipedia.org/wiki/El_Cid_(film)). For most foreigners, this is one of the few familiar images of spanish Middle Ages… (dammit…. Charlton Heston was a terrible swordsman!) Honestly speaking, the world tends to ignore most of the 8 centuries of fight and convivience between our european background and the arabic and north-african peoples that settled here after the invasion in 711 AD. It seems that it’s more important to praise and enhance the importance of the short crusades period in Holy Land. Maybe because here, other nations had very little role to play, out of some personal interventions (that of the Black Prince, for example). I doubt there’s any other country in the whole world (except maybe Turkey) which can represent better than Spain the bridge between east and west, between Europe and the Arabic Mediterranean Crescent. El Cid has been a somehow mythical figure in our national historical heritage. Not in vain the first spanish epic poem was made to tell his life and adventures (with quite a nice dose of realism, compared to other heroes of the time), and his arabic Nickname Al-Sayyed or Sidi, bastardized to spanish as El Cid, became an important referent of the spanish model of a hero. Far from the typical religious siding of the times of the crusades, Rodrigo Diaz had friends and foes on both, christians and muslim dominions, and faced both in combat serving different kings of that old Spain. In certain way, he was a must’arib, too. He was a christian, and a castillian, but he lived among muslims and served them in Saragusta and Ishbiliyah, against Lleida and Gharnata, ruled by other muslim kings supported by christian mercenaries. He had an arabic nickname that survived until today and prevails over that one of “Campeador” that named him among christian spaniards. Even when he was a warrior and wars were his life, he can still be considered today a good example of how things were here during those centuries, and how spaniards learnt to deal with differences that made them fight to death… or to get over those same differences for a common sake. Not meaning that northern spaniards ever considered muslims to be as aboriginals and entitled to this land as they saw themselves. But enhancing the fact that both, muslims and christians, (together with jews), considered themselves spanish, born here and linked to this land. Unfortunately it was religious intolerance (Al-murabitum, Al-muwahyid, Banu Merin….) 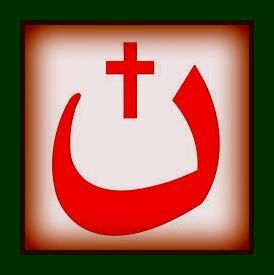 , mainly coming from north-africa, what made northern christians request help and support from crusaders and veterans of the Holy Land expeditions, together with military orders such as Templars. This religious impulse confronted that of the muslims and finally made impossible to find other Cids through history. That same religious intolerance on both sides made impossible to find real must’aribs anymore after these 13th century. Muslim integrists expulsed christians and jews from their madinas in an attempt of making sure that religious purity was the real link that kept Al-Andalus joint. Northern christians, together with roman church reforms disliked those arabized christians who escaped north. They found their rituals, language, dressing codes and whole culture banned and considered as contamined by “infidels”. Certainly when intolerance grows it’s those who are able to get the best of two “purities” who are going to become the first victims. It happened in many other places, and not only in Spain. Wars dislike rational people. And those Must’aribs living with muslims and seeking refuge among christians were a too rational concept for their time. There was no place for them in history. Same as there was no place for many more Rodrigos who deserved to be called Al-Sayyed (http://en.wikipedia.org/wiki/El_Cid). ….btw… this damn movie is full of historical inexactitudes and false facts!!. Mostly it was made to please Franco’s wishes, as it was a condition to let Mr. Bronston film his huge productions here. Franco wanted the world to meet a spanish hero. One that according to him represented the whole of Spain. Maybe he chose well. Yes, he did… even trying to ignore the fact that Rodrigo was more than uniquely a castillian christian who took a side. He was a man of his time. With many sides, many friends and many foes. And a great skill for battle and war. He was also an opportunist. All this among nationalism and religion. And that’s what made him perfect for the role of Spanish Hero. Determination, planification, will, flexibility and opportunism. Those who followed this guideline in spanish history were the ones who made us go forward. Pity these were too few. Pity there were very few Cids. 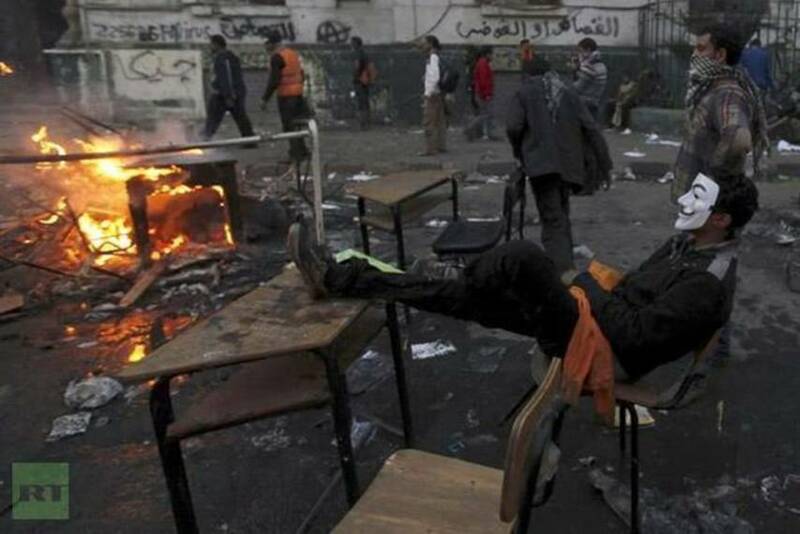 Politics: Arab Spring is not a revolution. The following is a copy/paste of an excellent view on the outcome of the so-called “arab springs” and the perspectives we may contemplate abt them. The new system of alliances hinges on too many false assumptions and masks too many deep incongruities. It is not healthy because it cannot be real. Something is wrong. Something is unnatural. It cannot end well. A media war that started in Egypt reaches its zenith in Syria. Each side shows only its own, amplifies the numbers, disregards the rest. In Bahrain, the opposite is true. No matter how many opponents of the regime turn up, few take notice. It does not register on the attention scale. Not long ago, footage from Libya glorified motley fighters with colorful bandanas and triumphant spiel. The real battles, bloody and often from the skies, raged elsewhere. Casualties were invisible. Throngs gather in Tahrir Square. The camera zooms in on protesters. What about the unseen millions who stayed at home? Did they rejoice at Mubarak’s overthrow or quietly lament his departure? How do Egyptians feel about the current disorder, unrest, economic collapse, and political uncertainty? In the elections that ensued, 50 percent did not vote. Of those who did, half voted for the representative of the old order. Who will look after those who lie on the other side of the right side of history? Most Syrians fight neither to defend the regime nor to support the opposition. They are at the receiving end of this vicious confrontation, their wishes unnoticed, their voices unheard, their fates forgotten. The camera becomes an integral part of the unrest, a tool of mobilization, propaganda, and incitement. The military imbalance favors the old regimes but is often more than compensated for by the media imbalance that favors the new forces. The former Libyan regime had Qaddafi’s bizarre rhetoric; Assad’s Syria relies on its discredited state-run media. It’s hardly a contest. In the battle for public sympathy, in the age of news-laundering, the old orders never stood a chance. In Tunisia, Egypt, Yemen, Libya, Syria, and Bahrain, no unifying figure of stature has emerged with the capacity to shape a new path. There is scant leadership. Where there is leadership, it tends to be by committee. Where there are committees, they emerge mysteriously to assume authority no one has granted them. More often than not, legitimacy is bestowed from abroad: the West provides respectability and exposure; Gulf Arab states supply resources and support; international organizations offer validity and succor. Those in charge often lack the strength that comes from a clear and loyal domestic constituency; they need foreign approval and so they must be cautious, adjust their positions to what outsiders accept. Past revolutionary leaders were not driven by such considerations. For better or for worse, they were stubbornly independent and took pride in rebuffing foreign interference. Not unlike the rulers they helped depose, Islamists placate the West. Not unlike those they replaced, who used the Islamists as scarecrows to keep the West by their side, the Muslim Brotherhood waves the specter of what might come next should it fail now: the Salafis who, for their part and not unlike the Brothers of yore, are torn between fealty to their traditions and the taste of power. It’s a game of musical chairs. In Egypt, Salafis play the part once played by the Muslim Brotherhood; the Brotherhood plays the part once played by the Mubarak regime. In Palestine, Islamic Jihad is the new Hamas, firing rockets to embarrass Gaza’s rulers; Hamas, the new Fatah, claiming to be a resistance movement while clamping down on those who dare resist; Fatah, a version of the old Arab autocracies it once lambasted. How far off is the day when Salafis present themselves to the world as the preferable alternative to jihadists? Egyptian politics are wedged between the triumphant mainstream Muslim Brotherhood, more hard-line Salafis, anxious non-Islamists, and remnants of the old order. As the victorious Brotherhood tries to reach an arrangement with the rest, the political future is a blur. The speed and elegance with which the new president, Mohamed Morsi, retired or sidelined the old military leaders and the quiet with which this daring move was greeted suggest that the Islamists’ confidence has grown, that they are willing to move at a faster pace. Tunisia is a mixed tale. The transition has been largely peaceful; the an-Nahda party, which won the elections last October, offers a pragmatic, moderate face of Islamism. But its efforts to consolidate power are a source of nervousness. Mistrust between secularists and Islamists is growing; socioeconomic protests at times become violent. Salafis lurk in the wings, assailing symbols of modern society, free speech, and gender equality. In Yemen, former president Saleh is out of power but not offstage. One war brews in the north, another in the south. Jihadists flex their muscles. The young revolutionaries who dreamed of a complete change can only watch as different factions of the same old elite rearrange the deck. Saudis, Iranians, and Qataris sponsor their own factions. Minor clashes could escalate into major confrontations. Meanwhile, US drones eliminate al-Qaeda operatives and whoever happens to be in their vicinity. Day by day, the civil war in Syria takes on an uglier, more sectarian hue. The country has become an arena for a regional proxy war. The opposition is an eclectic assortment of Muslim Brothers, Salafis, peaceful protesters, armed militants, Kurds, soldiers who have defected, tribal elements, and foreign fighters. There is little that either the regime or the opposition won’t contemplate in their desperation to triumph. The state, society, and an ancient culture collapse. The conflict engulfs the region. The battle in Syria also is a battle for Iraq. Sunni Arab states have not accepted the loss of Baghdad to Shiites and, in their eyes, to Safavid Iranians. A Sunni takeover in Syria will revive their colleagues’ fortunes in Iraq. Militant Iraqi Sunnis are emboldened and al-Qaeda is revitalized. A war for Iraq’s reconquest will be joined by its neighbors. The region cares about Syria. It obsesses about Iraq. Islamists in the region await the outcome in Syria. They do not wish to bite off more than they can chew. If patience is the Islamist first principle, consolidation of gains is the second. Should Syria fall, Jordan could be next. Its peculiar demography—a Palestinian majority ruled over by a trans-Jordanian minority—has been a boon to the regime: the two communities bear deep grievances against the Hashemite rulers yet distrust each other more. That could change in the face of the unifying power of Islam for which ethnicity, in theory at least, is of little consequence. Weaker entities may follow. In northern Lebanon, Islamist and Salafi groups actively support the Syrian opposition, with whom they may have more in common than with Lebanese Shiites and Christians. From the outset a fragile contraption, Lebanon is pulled in competing directions: some would look to a new Sunni-dominated Syria with envy, perhaps a yearning to join. Others would look to it with fright and despair. In Bahrain, a Sunni monarchy intent on retaining power and privilege violently suppresses the majority Shiites. Saudi Arabia and other Gulf states come to their ally’s rescue. The West, so loud elsewhere, is mute. When Libya holds elections, Islamists do not fare well; their opponents believe they finally achieved their one victory in a country that has no tradition of political openness, lacks a state, and is sated with armed militias that regularly engage in deadly clashes. An octogenarian leadership in Saudi Arabia struggles with a looming transition, lives in fear of Iran and its own population, doles out cash to fend off dissatisfaction. How long can all this last? In some countries, regimes will be toppled, in others they will survive. Forces that have been defeated are unlikely to have been crushed. They will regroup and try to fight back. The balance of power is not clear-cut. Victory does not necessarily strengthen the victor. Those in power occupy the state, but it is an asset that might prove of limited value. Inherently weak and with meager legitimacy, Arab states tend to be viewed by their citizens with suspicion, extraneous bodies superimposed on more deeply rooted, familiar social structures with long, continuous histories. They enjoy neither the acceptability nor the authority of their counterparts elsewhere. Where uprisings occur, the ability of these states to function weakens further as their coercive power erodes. To be in the seat of power need not mean to exercise power. In Lebanon, the pro-West March 14 coalition, invigorated while in opposition, was deflated after it formed the cabinet in 2005. Hezbollah has never been more on the defensive or enjoyed less moral authority than since it became the major force behind the government. Those out of power face fewer constraints. They have the luxury to denounce their rulers’ failings, the freedom that comes with the absence of responsibility. In a porous, polarized Middle East, they enjoy access to readily available outside support. To be in charge, to operate along formal, official, state channels, can encumber as much as empower. Syria’s military withdrawal from Lebanon in 2005 did not curb its influence; Damascus simply exerted it more surreptitiously, without public glare and accountability. Tomorrow, a similar pattern might hold in Syria itself. The regime’s collapse would be a significant blow to Iran and Hezbollah, but one can wonder how devastating. The day after such a long and violent conflict is more likely to witness chaos than stability, a scramble for power rather than a strong central government. Defeated and excluded political forces will seek help from any source and solicit foreign patrons regardless of their identity. To exploit disorder is a practice in which Iran and Hezbollah are far better versed than their foes. Without a Syrian regime whose interests they need to take into account and whose constraints they need to abide by, they might be able to act more freely. The Muslim Brotherhood prevails. The newly elected Egyptian president comes from their ranks. They rule in Tunisia. They control Gaza. They have gained in Morocco. In Syria and Jordan too, their time might come. The Muslim Brotherhood prevails: those are weighty and, not long ago, unthinkable, unutterable words. The Brothers survived eighty years in the underground and the trenches, hounded, tortured, and killed, forced to compromise and bide their time. The fight between Islamism and Arab nationalism has been long, tortuous, and bloody. Might the end be near? World War I and the ensuing European imperial ascent halted four centuries of Islamic Ottoman rule. With fits and starts, the next century would be that of Arab nationalism. To many, this was an alien, unnatural, inauthentic Western import—a deviation that begged to be rectified. Forced to adjust their views, the Islamists acknowledged the confines of the nation-state and irreligious rule. But their targets remained the nationalist leaders and their disfigured successors. Last year, they helped topple the presidents of Tunisia and Egypt, the pale successors of the original nationalists. The Islamists had more worthy and dangerous adversaries in mind. They struck at Ben Ali and Mubarak, but the founding fathers—Habib Bourguiba and Gamal Abdel Nasser—were in their sights. They reckon they have corrected history. They have revived the era of musulmans sans frontières. The Palestinian question has been the preserve of the Palestinian national movement. As of the late 1980s, its declared goal became a sovereign state in the West Bank, Gaza, and East Jerusalem. Alternatives, whether interim or temporary, have been flatly rejected. The Islamists’ plan may be more ambitious and grandiose but more flexible and elastic. For them, a diminutive, amputated state, hemmed in by Israel, dependent on its goodwill, predicated on its recognition, and entailing an end to the conflict, is not worth fighting for. They can live with a range of transient arrangements: an interim agreement; a long-term truce, or hudna; a possible West Bank confederation with Jordan, with Gaza moving toward Egypt. All will advance the further Islamization of Palestinian society. All permit Hamas to turn to its social, cultural, and religious agenda, its true calling. All allow Hamas to maintain the conflict with Israel without having to wage it. None violates Hamas’s core tenets. It can put its ultimate goal on hold. Someday, the time for Palestine, for Jerusalem may come. Not now. In the age of Arab Islamism, Israel may find Hamas’s purported intransigence more malleable than Fatah’s ostensible moderation. Israel fears the Islamic awakening. But the more immediate threat could be to the Palestinian national movement. There is no energy left in the independence project; associated with the old politics and long-worn-out leaderships, it has expended itself. Fatah and thePLO will have no place in the new world. The two-state solution is no one’s primary concern. It might expire not because of violence, settlements, or America’s inexpert role. It might perish of indifference. An Islamist era that picks up where the Ottoman Empire left off, the shutting down of the nationalist interlude, is far from preordained. The Brotherhood flourished in opposition largely because it remained secretive, displayed patience, and ensured internal obedience. It built up influence through years of quiet labor and struggle. Once Islamists compete for power, many of their assets become obsolete. They must move openly because politics are more transparent, adjust quickly because of fast-paced change, and cope with diversity within their ranks because the system has become more plural. Tunisia’s ruling Islamists must make a choice regarding Islam’s place in the new constitution; if they opt for a more moderate outcome, they will infuriate the Salafists, fail to reassure the non-Islamists, and befuddle countless of their own. Egypt’s Muslim Brotherhood faces attacks from secularists for injecting too much religion into public life and from Salafists for not injecting enough. Members split to join more moderate expressions of Islamism or more rigorous ones. The Brotherhood’s emphasis on free-market economics and the middle class does not play well to the underprivileged. The new Islamist language, insofar as it emphasizes freedom, democracy, elections, and human rights, earns praise in the West but skepticism from critics. These might only be words but words can matter; they can take on a life of their own, force policy changes, make it difficult to renege. At that point, the Brotherhood can become the party it says it is, and then what will remain of its Islamism? Or it can persist as the movement it has been, and then what will remain of its pragmatism? Historically a tightly regimented transnational organization, the Brotherhood no longer speaks with one voice inside a country any more than it does across borders. As power beckons, each branch has different, often competing, political priorities and concerns. Islamists also face the dilemmas of foreign policy. Egypt’s new assertiveness, its attempt at a more independent diplomacy, could put it at odds with the West. Its apparent decision to suspend its anti-Western and anti-Israeli positions risks alienating its public. Many Egyptians crave more than a Mubarak ornamented with Koranic verses. Islamists prospered in opposition because they could blame others; they could suffer in power because others will blame them. Dilute their domestic and foreign agenda, and they may well lose their rank-and-file; pursue it and they will alienate non-Islamists and the West. Postpone the struggle against Israel, and their rhetoric will appear disconnected from their policy; wage it, and their policy will appear dangerous to their new allies in the West. If they explain that their moderation is tactical, they will expose themselves; stay silent and they will confuse the base. There are only so many contradictions they can simultaneously straddle in this Olympian balancing act. The power of political Islam flowed chiefly from not exercising it. Its recent successes could signal the eve of its decline. How much simpler was life on the other side. Amid chaos and uncertainty, the Islamists alone offer a familiar, authentic vision for the future. They might fail or falter, but who will pick up the mantle? Liberal forces have a weak lineage, slim popular support, and hardly any organizational weight. Remnants of the old regime are familiar with the ways of power yet they seem drained and exhausted. If instability spreads, if economic distress deepens, they could benefit from a wave of nostalgia. But they face long odds, bereft of an argument other than that things used to be bad, but now are worse. That leaves an assortment of nationalists, anti-imperialists, old-fashioned leftists, and Nasserites. Theirs was the sole legitimate ideology in the Arab world, invoked by those who fought colonialism and by those who replaced the colonial powers. Similar ideas have been invoked too, unwittingly but unmistakably, by the demonstrators and protesters of these past months who spoke of dignity, independence, and social justice, and thus borrowed from the same ideological lexicon as those they eventually ousted. This non-Islamist, “progressive” outlook has roots, appeal, and foot soldiers; it lacks organization and resources and has suffered from having been so thoroughly tainted and corrupted by generations that ruled in its name. Can it reinvent itself? If the Muslim Brotherhood plays down people’s nationalist feelings, if it ignores their aspirations to social justice, if it fails to govern effectively, an opening might arise. The more nationalist, progressive worldview could yet stage a comeback. A video makes the rounds. Nasser regales the crowd with the story of his encounter with the then head of the Muslim Brotherhood, who asks him to compel women to be veiled. The Egyptian leader replies: Does your daughter wear a veil? No. If you can’t control her, how do you expect me to control tens of millions of Egyptian women? He laughs and the crowd laughs with him. It is the early 1950s, over half a century ago. Today, one senses wistfulness for such humor and such bravado. History does not move forward. Was the last century an aberrant deviation from the Arab world’s inherent Islamic trajectory? Is today’s Islamist rebirth a fleeting, anomalous throwback to a long-outmoded past? Which is the detour, which is the natural path? She was called Eman, …or Muna, …or Radwa, …or Amira, …or Maysa, …or Fatiha, …or Noura, …or Zahra, …or Rana, …or… she was just an arab woman. Before meeting her I used to ignore most of everything about them. It was on a travelers website that I found some beautiful female face beside a Saudi flag . It was obvious that she pic was that of a model, but still I got shocked by the simple fact of finding a Saudi woman interacting in the internet and willing to meet other people. Ah, wait… a travelling Saudi woman?… what the… ? There were many new ideas coming to my mind. Until then I had always thought that women were oppressed to the limit in the Kingdom of the Oil Gardens. Until then I thought they were uneducated. Illiterate. Confined at home and bred just to please older men and give them children once they reached puberty. Also the fact of finding some Saudi girl showing up (under a fake profile pic, of course) as a traveller willing to meet other travellers from abroad was surprising. I imagined them educated to remain into their world, not opened to meeting others from abroad. I asked myself how would she react if I sent a message…. and how would she see me through it… so I suggested her not to answer if that she was going to say was going to be less beautiful than silence… and that’s why it all started.